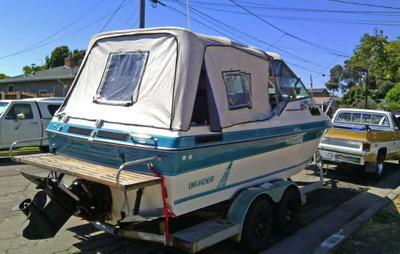 8/22/2014 (Richmond, California) - Nice 1989 Invader Cuddy Cabin 21 Ft. with matching Invader trailer. Has new Delta canopy, clean interior with all teak wood and leather swivel chairs. Engine runs great and has low hours. Registration tags are good through 2015. Title in hand. 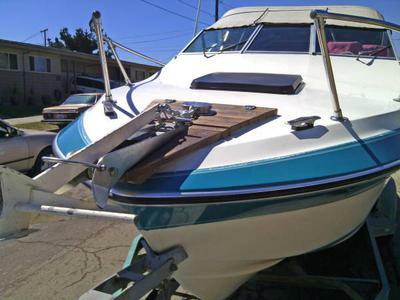 Perfect boat for fishing and water recreation. And many more extras. 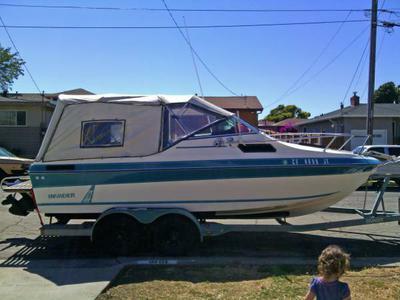 Asking $5,500 or reasonable offer. If you would like to see it, please call or text 510-860-5890 or email michellerobertson25@comcast.net.